Asbestos is a natural silicate material consisting of long, glass-like fibers that are themselves composed of millions of tiny fibroids. It's abundant and tough, and it won't burn, which meant to builders in the mid-20th century that it was ideal for insulation, ceiling and floor tiles and even wall texturing material. However, the dangers of asbestos became apparent when the workers who mined it began dying of respiratory diseases such as asbestosis, lung cancer, and mesothelioma. An Act of Congress in the early 1970s banned certain uses of asbestos. The EPA tried unsuccessfully to widen the ban in 1989, and today, certain uses are still allowed in the United States. This all means that there is a good chance that you have asbestos in your home, particularly if it was built before 1972. Although it's nothing to fool around with, asbestos generally doesn't pose a danger if it's embedded in floor tiles or roofing felt and is left undisturbed. However, you should be concerned if you have old popcorn texture on your ceilings or walls or blown insulation in your attic. If so, you are well advised to have the material tested for the presence of asbestos, since in these locations, asbestos fibers are more likely to break free and circulate in the air. The most likely place to find asbestos is around pipes in the basement. Because of its fire resistance, asbestos is an ideal material for insulating furnaces and furnace pipes, so you're most likely to find it in the basement or another utility area. In addition, it's an ingredient in some vermiculite wall and attic insulation. You might also find it in ceiling and floor tiles, in outdoor siding tiles, and in cement shingles. Older popcorn ceiling textures may contain a small amount of asbestos. Current regulations allow manufacturers to incorporate it in millboard as well as in corrugated and flat sheets of cement board—products that can still be purchased. 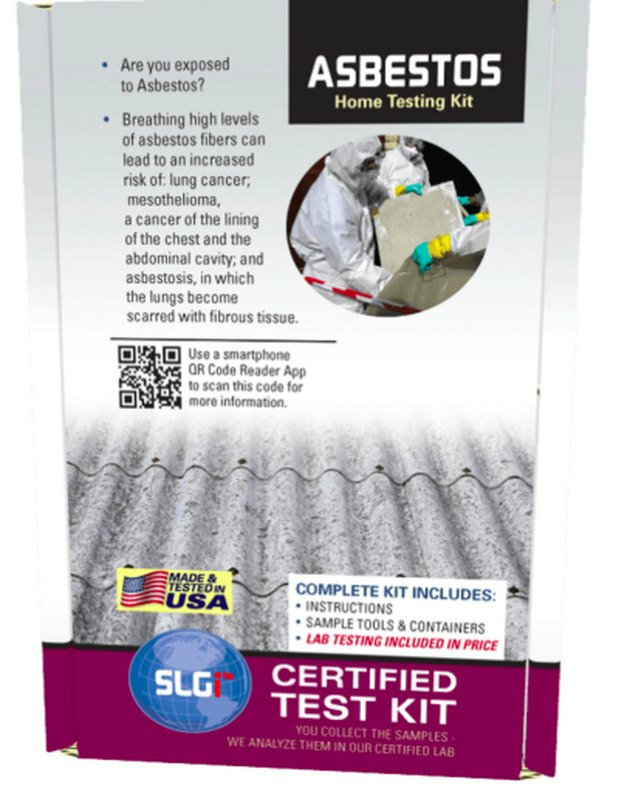 When locked into a material such as floor tile or cement board, asbestos isn't dangerous, because the fibers can't become airborne. As a rule of thumb, asbestos generally isn't hazardous as long as it's left undisturbed. However, if you're planning renovations that include drilling, sawing, or removing materials, you need to need to know if they contain asbestos. You also need to take precautions if any suspect materials are deteriorating and beginning to crumble by themselves. You need a dust mask, and goggles when collecting samples. You can find a number of test kits online and at building centers. Virtually all of these require you to collect a sample send and send it to a lab. Some kits come from accredited testing labs and the cost of lab analysis is included in the price. 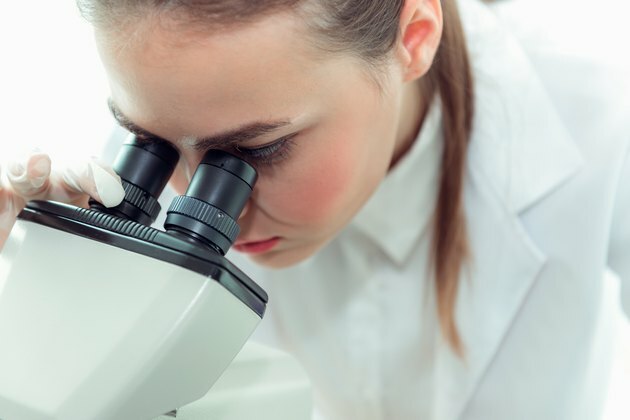 Other kits offer just the materials needed to take the sample; the cost of lab analysis will be another fee. You should follow a specific procedure when collecting the sample to avoid creating airborne fibers that can be inhaled. Most test kits come with gloves and a mask, but you'll need some extra supplies. The key to safely collecting a sample is to work as slowly and deliberately as possible to avoid stirring up dust. No one should be home when you're doing this job. Stop the air flow within the room where you'll be working to whatever degree possible. Close the windows and make sure no exhaust fans or HVAC fans are running while you're working. The goal is to prevent possible circulation of asbestos fibers in the air. Spread plastic sheeting on the floor and extend it to the walls. You can use thin sheeting, as long as it has no holes. You'll discard this sheeting after you're done. Put on a disposable coverall suit. You can find one in the paint department at any hardware store. Like the plastic sheeting, you'll have to dispose of this when you're done. Also put on latex gloves, goggles, and a face mask. Fill a spray bottle with water and thoroughly mist the area where you're going to work. Wet down the plastic sheeting as well as the surface from which you're going to extract the sample. This helps ensure that no stray fibers will become airborne. Use a spray bottle to keep dust down. Use a chisel to remove a sample from cement board or tile. Remove a small sample out of the suspected material, using a chisel or paint scraper. Work slowly and deliberately. You need a sample that weighs about 1/4 pound for a successful test. If you're removing texture or insulation from the wall or ceiling, cover the tongs of a pair of pliers with paper towels and use the pliers to extract the sample. Mist the sample as soon as you've extracted it. Using a wet wipe to hold the sample, put it in the plastic bag that came with the test kit. Also, place the wet wipe into the bag. Seal the bag, then note the time and place of collection on the front of the bag with a marker. Drop the bag into a second bag and seal that bag, as well. Carefully fold the plastic covering the floor, working slowly to ensure no dust gets airborne. Put it in a plastic garbage bag and tape the bag shut. Vacuum the floor and any area on which fibers could have landed. Remove the vacuum bag when you're done and put it in a separate bag, then tape that bag shut. 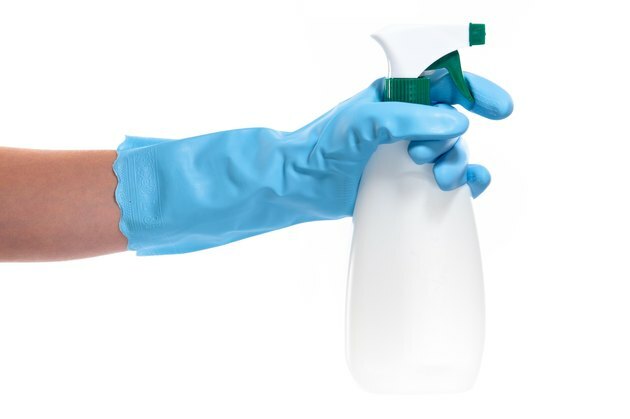 If you use a bagless vacuum, tap the canister clean inside the plastic bag, wipe the canister down with a wet rag, then throw the rag into the bag, along with dust. 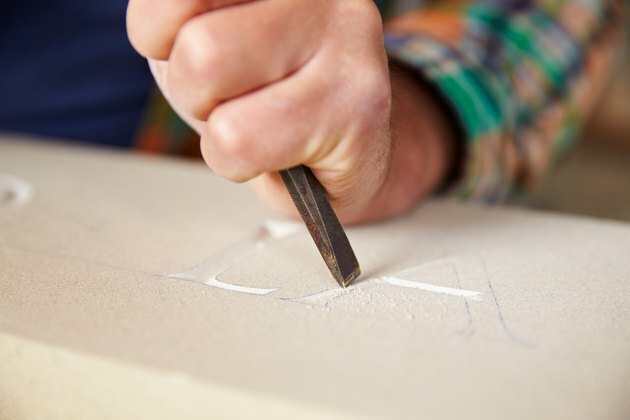 Paint the area from which you chiseled a sample to prevent any loose fibers from separating. If you removed wall texture, coat the area from which you removed the texture. Use a disposable paintbrush and throw it into the garbage bag, along with the vacuum waste. Carefully remove the coveralls, mask, and gloves, put them in a third garbage bag, and seal the bag with tape for disposal. If you don't want to throw your goggles away, wipe them down with a damp rag and throw the rag in with the rest of the disposal material. The sealed garbage bag can be discarded with household trash. 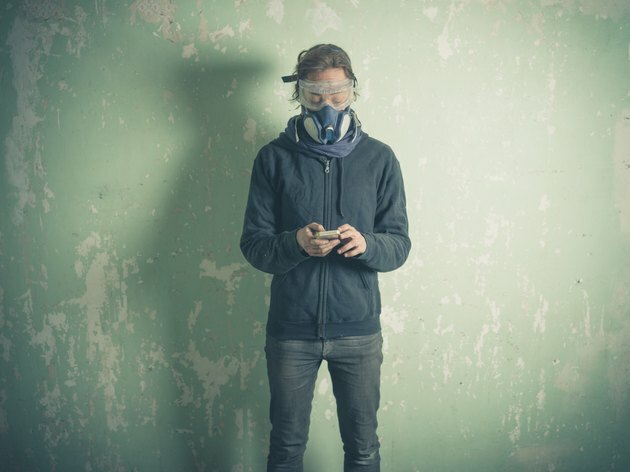 It takes a trained technician to positively identify asbestos. The test kit should provide a means to mail the sample, such as a pre-addressed box or envelope. You can also find a testing lab by consulting the website for the National Voluntary Laboratory Accreditation Program. If you send it to one of these labs, you'll have to fill out an online declaration form you can print out. Testing generally takes about three weeks. If the test is positive for asbestos, consult local authorities for governing regulations before you make your plans for removing it. You generally can't do this work yourself, and you may be subject to fines if you do. However, some local authorities may permit limited remediation procedures under certain circumstances. In most cases, it's best to hire a licensed removal technician.